Meeting minutes in important for every organization as it tracks everything that as been done and addressed about on a specific meeting. 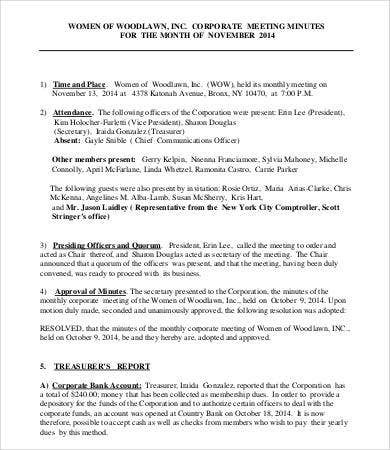 It gives details to all the topics covered and the issues raised by those who have attended the meeting. 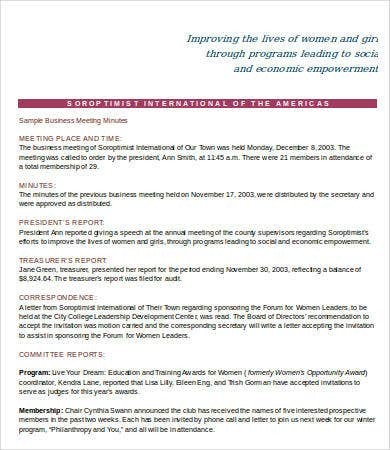 Meeting minutes, or minutes of the meeting, is usually done by the executive or administrative secretary. Though, there may be times that the person doing the minutes of the meeting is pointed out a few moments before the meeting starts. 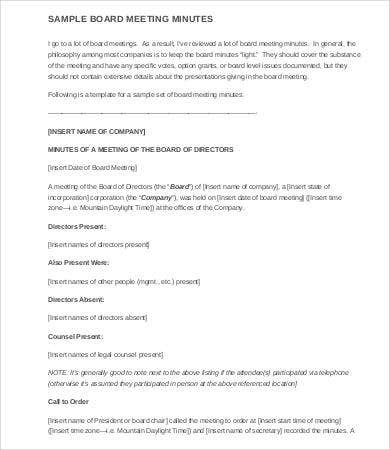 If you are to make the meeting minutes, make sure that you are guided by following principles, and there should be a format that you need to follow for creating the document. Meeting minutes may be done in various circumstances and would be of help to different businesses, organizations, and institutions. 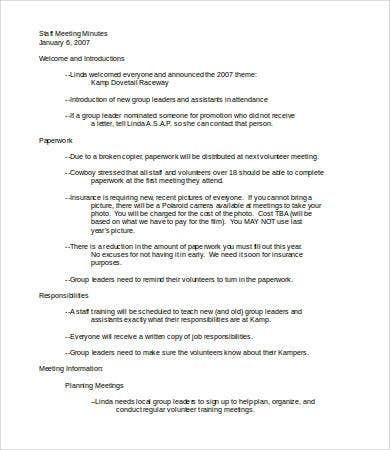 We have templates of Business Meeting Minutes and School Meeting Minutes that you may use as references. Other people who do not have any idea about the creation of minutes of the meeting have the wrong idea that all the items discussed “every minute” should be recorded. It is not true as it is only a term and should not be taken literally. 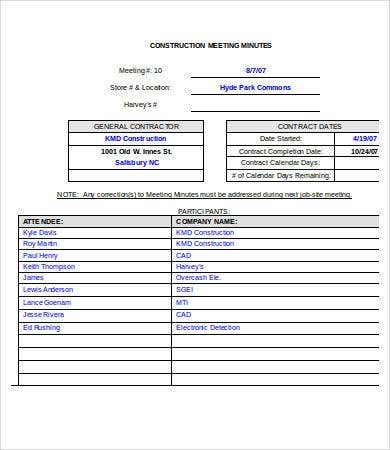 The meeting minutes and the format to be used in doing it may vary on the company where you are currently at. There are certain items that must be ticked on specific meetings, depending on the transactions and operations done by your company. 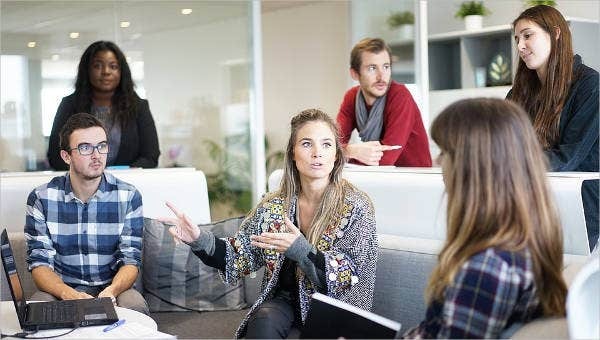 Nonetheless, being knowledgeable about what a meeting minutes is and what it should contain surely will help, should you be tasked to do it on future company meetings. The importance of the minutes of the meeting lies mainly on its effects after it is finished. 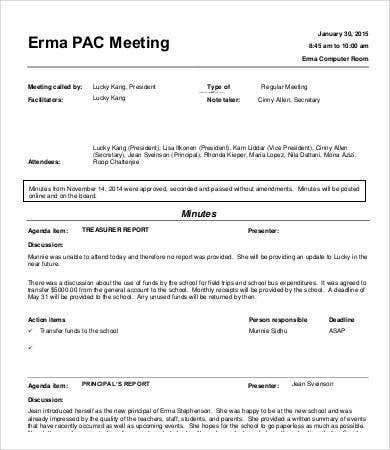 Keeping track of the plans and the decisions that were made during the meeting will surely help the organization implement them and know that they have already been talked about. 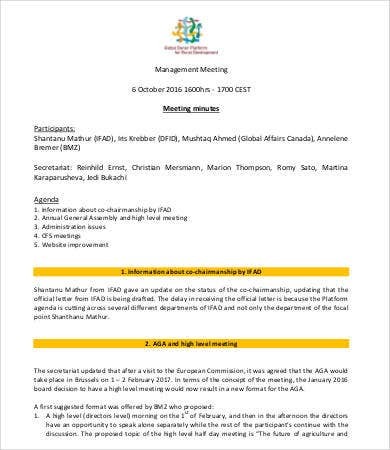 The meeting minutes will only be as much effective if the goal and objective of the meeting has already been planned even before the meeting started. 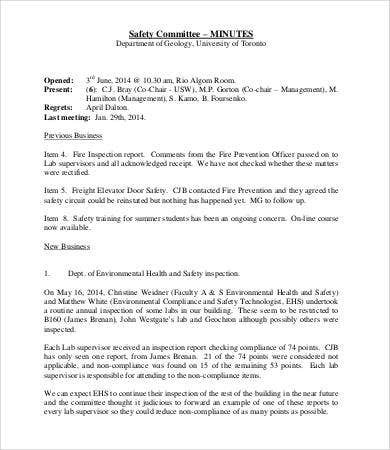 Specific items must be listed for checking, if it has been discussed already and if there is already a resolution regarding the matter. Record taking must also be done efficiently as errors in writing may provide errors in information and stated facts as well. 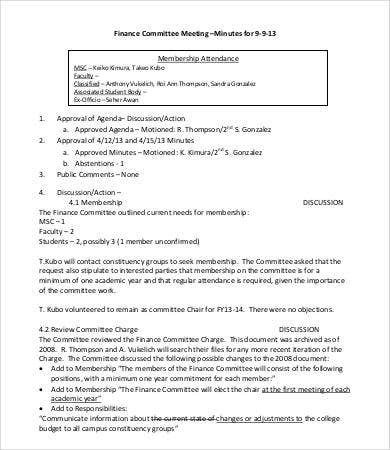 If you are the person who made the minutes of the meeting, be sure to send copies to the attendees of the meeting. 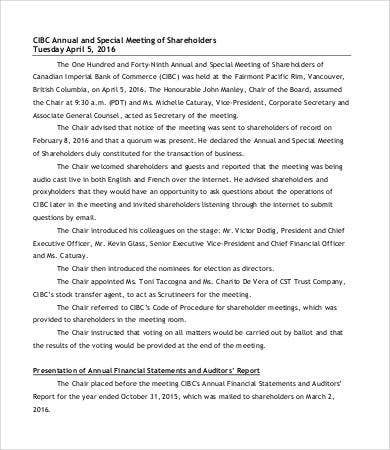 This is both to inform and remind them about the things that happened within the bounds of the professional meeting and to cross-check if all the information stated are accurate as well. 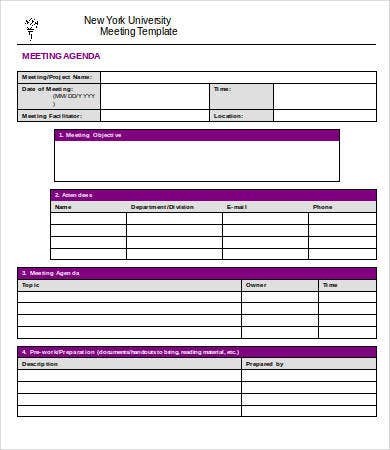 We have available Staff Meeting Minutes templates for download should you be needing a template.